…started a blog! Never before in my life did I have the intention of writing and then sharing my writing with anyone and everyone on the internet. However, I’ve ended up absolutely loving it, and I credit my blog along with other blogs I read for being the fuel behind two thousand and eleven’s greatness! 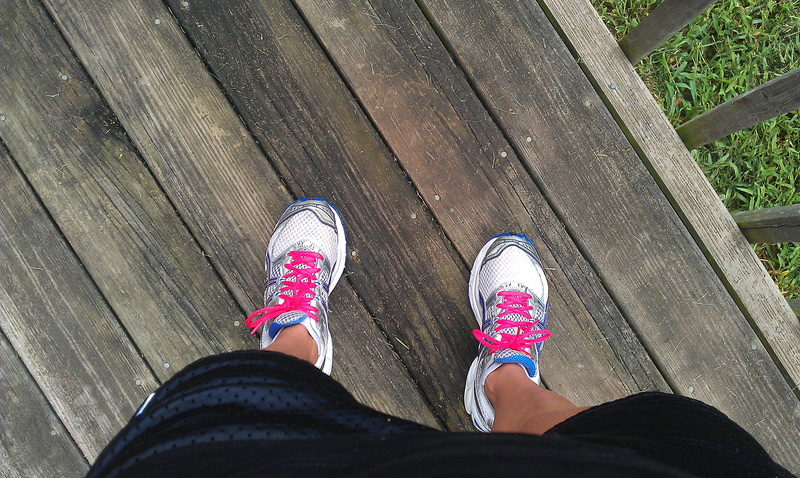 …started out the year with a four mile race, Love 2 Run, in February. My blog wasn’t born yet so I wasn’t here to tell you about it, but I did PR (it was only the third race I’d ever done before in my life, and the second time in this race) with a time of 35:15. …ran my first 10K…then my second 10K…then my third 10K…each one with a PR! …trained my dog to give high-fives. …won a local race! It was a small 5K race…a very very small race, since I won with a stopwatch time of 25:09. 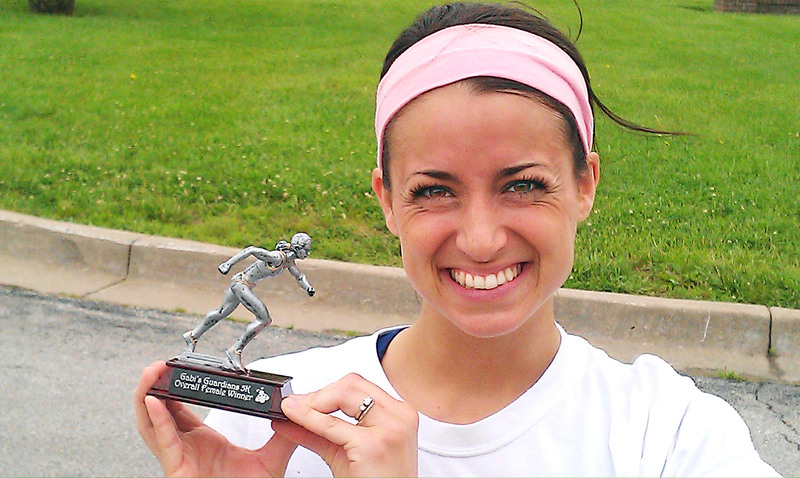 Nonetheless I won an awesome trophy, and it was for a super great cause to support a local little girl with osteosarcoma. The same little girl who happens to be my Make-A-Wish wish kid and who is a huge inspiration to anyone who knows her. …greatly improved my body image. …didn’t get into nursing school. …ran my first half marathon, which happened to be my one really big goal that I wanted to achieve this year! I also had a secret goal of running it in less than two hours…which I also achieved with a time of 1:59.10! …went to Mexico with all my amigos! …was a blonde for awhile. Literally, not figuratively. Well, maybe both. …ran my second half marathon and PRed with a time of 1:52.52. …got my husband to run a 5K with me…and my mom, sister, and stepdad! It was for the Susan G. Komen race in Kansas City, obviously a great cause, especially considering my mom kicked breast cancer’s booty. 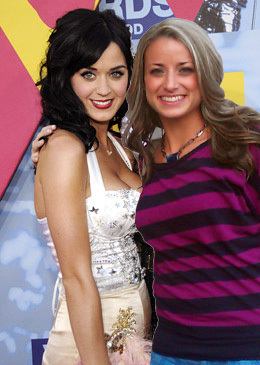 …coached middle school volleyball with some of the sweetest girls I’ve ever met! 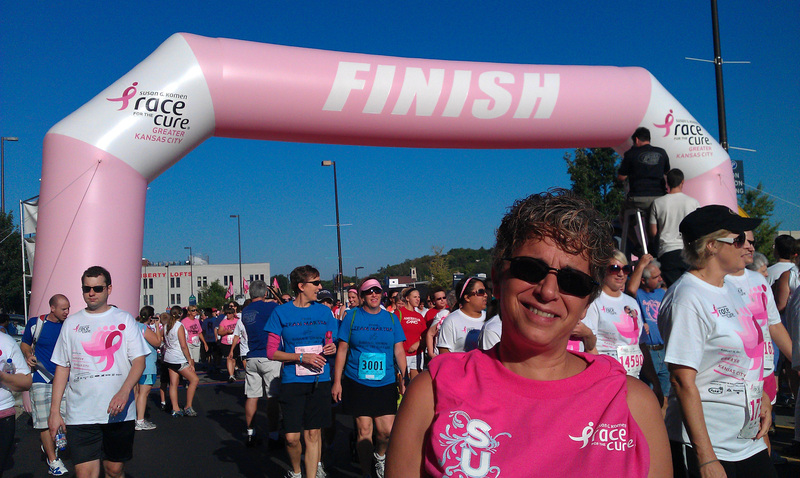 …raised money for Girls on the Run as a SoleMate! …ran a marathon. A MARATHON! A ridiculously hilly but beautiful nonetheless twenty-six point two miles all over Kansas City, Missouri, and I loved every single second of it…all four hours and fifteen minutes! I set out the year with hopes of finishing a half marathon…what I didn’t know was that I was going to fall in love with running. Once my half was completed in April I knew I needed more! Never before in my life did I imagine I’d run a marathon, but crossing that finish line was the proudest moment of my life. This year has been amazing. However, it wouldn’t have been nearly as great had I not walked into the women’s restroom back in February and discovered a little post-it note on the mirror that said, “You are beautiful.” That’s when I discovered Operation Beautiful and the entire world of blogging…a world of inspiration, motivation, and support from some pretty amazing people. Two thousand and eleven, it’s been lovely. I’m still on cloud nine from Saturday, and as much as I’ve talked to my family and friends about the race, I am a little speechless. 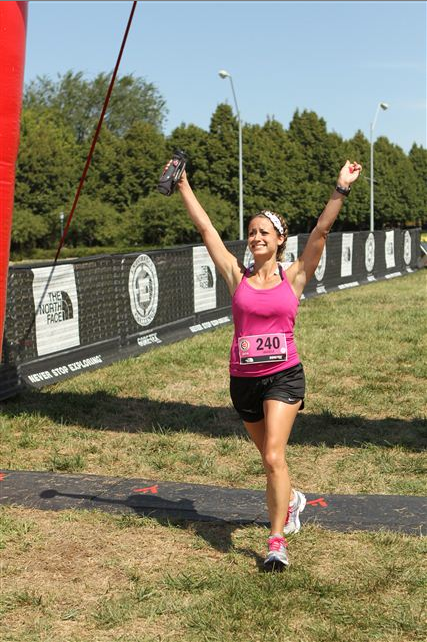 Once I find the right words, I will write my race recap…I promise it will be sooner than later! For right now, another reason I am feeling speechless…all your support for Girls on the Run!!! I have raised just over six hundred dollars for this amazing organization as a SoleMate, and I definitely could not have done it without all of you! There are still a few donations trickling in from my design work, so when I know an exact total I will share it with you! There is still some time to donate if you wish (just click here)!!! Thank you to Nancy, Joey, my momma, Gay, Elaine, Carolyn, Carly, Amy, Terrie, Mag-pie, Cathy, my mom-in-law, Candice, Cathy M., Soap It Up, Carin, my momma (again! ), Sarah, Terry, Uncle Johnny, Theresa, Beverly, and Jen P. for your direct donations! Thank you to Candice, Kim, Carrody, Chris, Janelle, my sister, Aunt Mernie, my momma (times 3!) 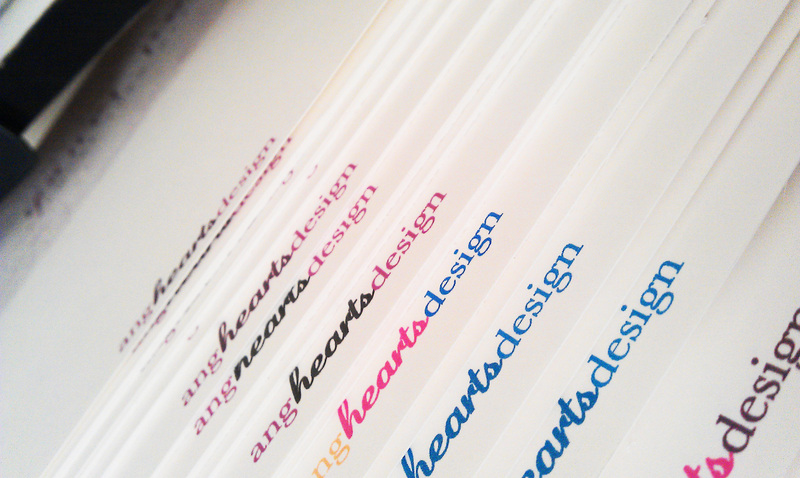 for purchasing notecard sets from angheartsdesign! Thank you to the people I am working with right now for other design work! The winner of three notecard sets and three Soap It Up soaps is…..
Let me know which soaps scents and which notecards you would like!!! I can’t wait to get them to you, and thank you from the bottom of my heart for supporting Girls on the Run and for encouraging me my entire life!!! I love you lady! I can’t believe that tomorrow is the day. It feels like I have been training forever, yet at the same time I feel like I’ve just started! I am so excited and very nervous…but most of my anxieties are just about arriving on time and having all my gear and fuel with me. Strangely, I’m not that nervous about the running part! We will see how I feel tomorrow morning, though! I guess I really need to get over my dislike of even numbers…I’m twenty-six years old, I’m running twenty-six point two miles tomorrow, and my bib number is two forty…that’s a lot of even numbers!!! …then I start to get that knot in my throat…and I start to tear up just thinking about it! P.S. 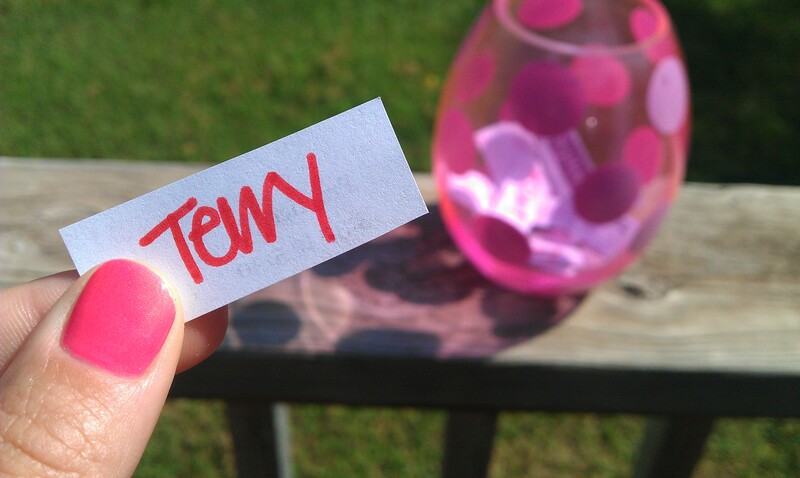 I will be doing the drawing for my bloggie-giveaway on Monday morning! You still have until the end of tomorrow to donate to Girls on the Run be entered into the drawing! Oh my goodness, this week is turning out to be so amazing. Actually, this entire month has been super great, and each coming day brings something new and exciting! 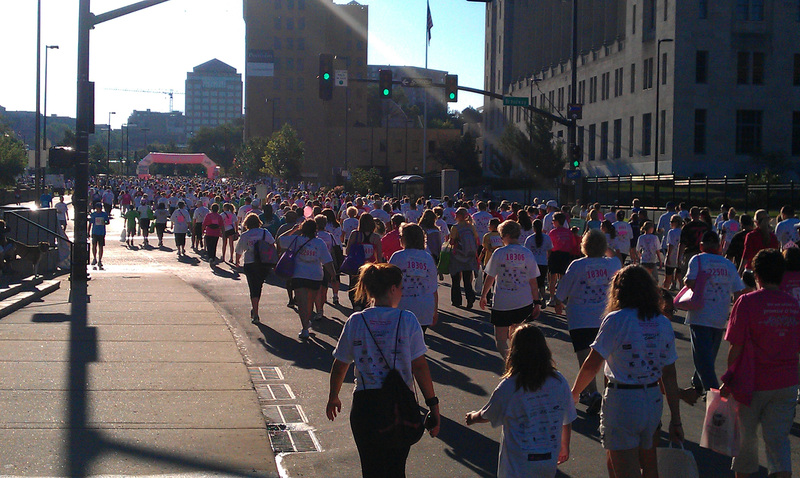 This week started out awesome on Sunday with the Susan G. Komen 5K in Kansas City. I have never been a part of a Susan G. Komen event before, and I highly recommend it to anyone who ever has the opportunity. There were over 30,000 people registered to be a part of it…it truly was a sight to see! Not only was it a moving and inspiration event, but it was also the hubs’ very first 5K race! I was so proud of him, and it felt great to cross the finish line together! I will post a race recap with more pictures very soon!!! I got accepted into nursing school for next summer! 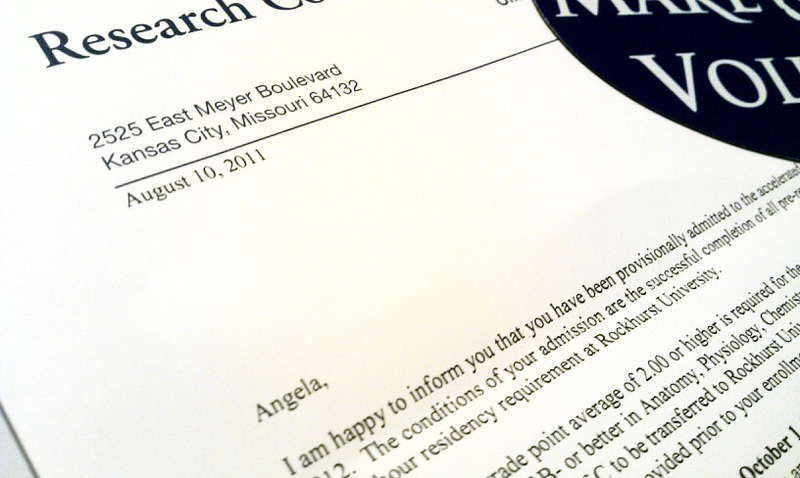 I knew the letter would be coming soon, and I obsessively checked the mail everyday. (Usually I only check it once a week…not really the best idea…I don’t think any of my mailmen have liked me!) When I saw where the letter came from, I started having unwanted deja vu from the last time I received a letter about nursing school…but as soon as I read “happy to inform you” I was relieved…and excited, and nervous, and just so darn happy! On Wednesday I got to go to a cabinet training for my job. I got to watch a bunch of other cabinet specialists play Family Feud with questions about cabinets. (I, of course, did not volunteer to play!) It was totally awesome. Actually, the winning “contestants” won a ten dollar gas card, and the lady sitting next to me gave me her card because she knew I was ten miles until empty and had no clue where the closest gas station was. She also looked up directions for me. It’s nice to come across genuinely nice people in the world! Thursday was kind of a plain day. Nothing crazy-exciting happened like the rest of the week, but I did get to spend most of the day with my handsome hubby before he went back to work today. Tear. Sorry honey, I’ll put those away today. Well, maybe. Another reason this week has been great is because I have raised so much more money for Girls on the Run with my blog giveaway!!! I’ve received $90 in direct donations and seven new orders for notecards (that’s $49 more)! I have a lot of printing, cutting, and folding to do! Thank you so much for all your support. This puts me so much closer to my goal, but I still need your help! You can still enter my giveaway! For every $5 you directly donate you are entered to win three Soap It Up soaps and three notecard sets. There are more ways you can enter, just head to this post and see! 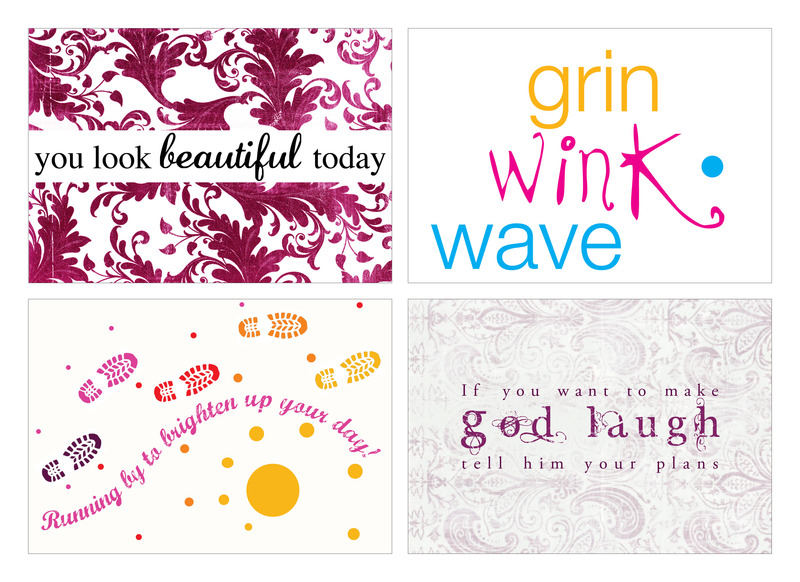 You can still order notecard sets also, just contact me with the design of your choice! And last but not least, today was my last sweaty, semi-long run before the big day, my first marathon, and I followed it up with a nice shower with a special new soap! A new scent in honor of this awesome day! 🙂 Do you think it’s edible? 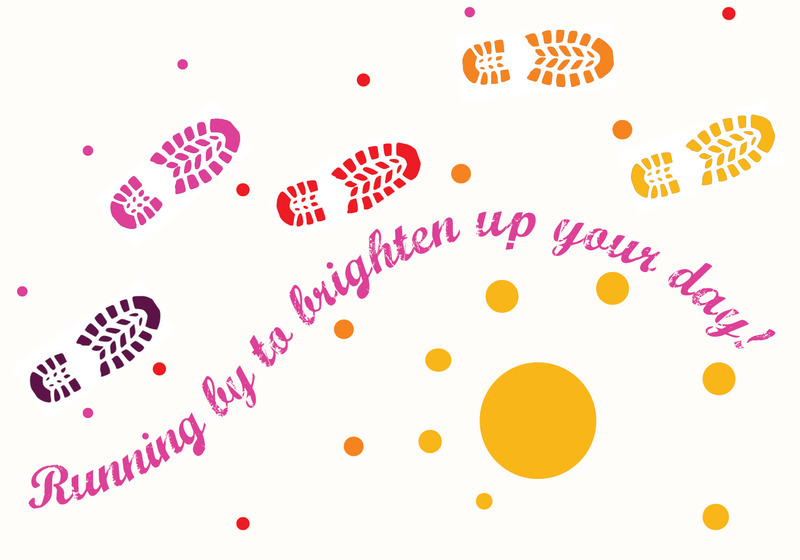 Girls on the Run and a Giveaway! As my marathon training is winding down, so is my fundraising. There are only eleven days left for me to raise money for Girls on the Run (and I desperately need your help!) If you still are not familiar with the organization, that is perfectly okay…I will explain why the program is extremely beneficial to young girls, and why it holds a place near and dear to my heart. Girls on the Run is a nonprofit organization devoted to inspiring young girls and teaching them self respect, self esteem, and self love through a fun curriculum that incorporates running. The goal of this program is the reduce or prevent to occurrence of eating disorders, depression, suicidal thoughts, or other potentially harmful behaviors in youth. This is extremely important for this age group (eight through thirteen) because this is truly a time when young girls are really growing up and coming into their own. I can remember back when I was this age, and I do not think I even know what body image was. I didn’t have a negative body image back then, which is a definite plus, especially considering the heartbreaking fact that eating disorders sometimes start in children so young. However, I didn’t know what it meant to have a positive body image and the importance it would have as I got a little bit older. Now, with only eleven days left to raise money for this amazing organization, I am making my final push to get as close to my fundraising goal as possible! You can make a direct donation here, or I am also still offering that seventy percent from notecard sales from angheartsdesign will be donated to Girls on the Run. That means $7 of the $10 for each set will go directly to GOTR (cash or check only). And last but not least I am offering a giveaway!!! For every $5 you donate between now and August 27th you will be in a drawing to win three bars of from Soap It Up, Gourmet Soaps by Di and three notecard sets of your choice from angheartsdesign (you can see all the design choices here), and possibly some other little goodies! 🙂 That is a $39.75 value! 1. You first must make a donation of at least $5 directly to my fundraising website. If you donate $5 your name will be in the drawing once. 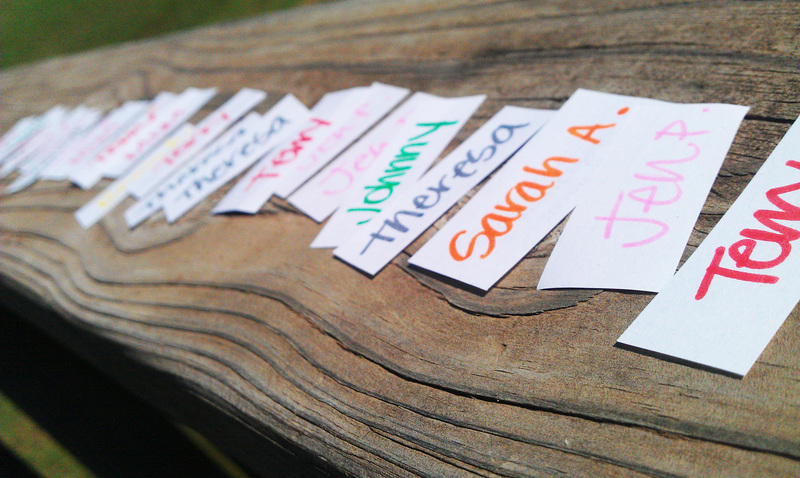 If you donate $10 your name will be in the drawing twice. If you donate $15 your name will be in the drawing three times…and so on and so forth! 3. Once you’ve made a donation and left me a comment you may be entered again into the drawing if you leave me a comment telling me which scents from Soap It Up that you’d like the most and which notecard designs are your favorite (and why)! 4. Once you’ve made a donation and left me a comment you may be entered again into the drawing if you tweet the giveaway! @MyPinkyToes is having a giveaway to raise money for GOTR! For every $5 you donate at http://www.active.com/donate/SoleMates2012/AngFundraising you will be entered to win!!! Leave me a comment telling me you did! 5. Once you’ve made a donation and left me a comment you may be entered again into the drawing if you “like” angheartsdesign on Facebook. Leave me a comment telling me you did! Once again, thank you everyone for all your support so far, not only for fundraising, not only for encouraging me for my first marathon, but for being so kind and supportive of this blog. I love everyone of you!!! Oh. Em. Gee. Seventeen. Days. In this long process called marathon training, there has only been one day that I feared almost as much as the actual marathon itself. That was the day I had to tackle my longest run ever, that was my peak distance day, that was the day I had to run twenty long, sweaty miles. Oh, and I killed it! I’m being honest when I tell you that I wasn’t sure I’d be able to do it…run all twenty. Which in turn made me fear that I wouldn’t be able to finish the entire marathon come August 27th. Today turned that all around! (I’m sure it didn’t hurt that it was only in the seventy degree range with a nice overcast.) 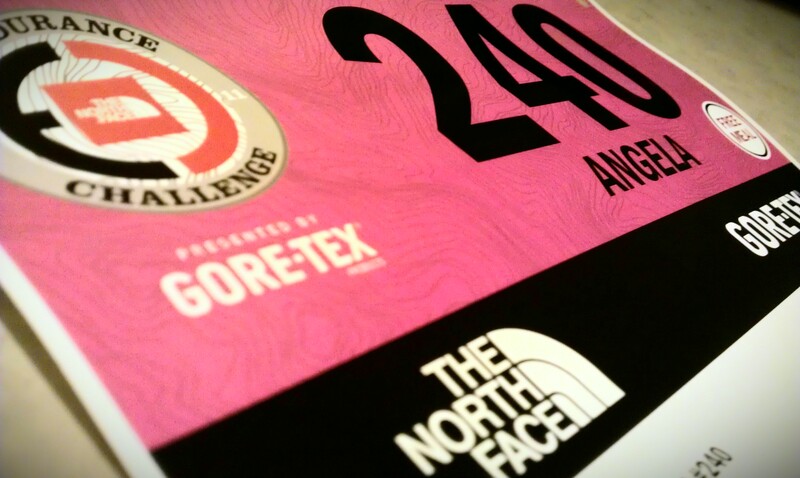 For the first time I truly feel that I will be able to conquer the beast that is twenty six point two miles long. So in honor of my twenty miles this morning, I will give you twenty things on my mind regarding this crazy marathon thing. 1. I can’t believe I am actually doing this. Never in my wildest dreams did I ever imagine I’d be running a marathon. It just goes to show that anyone can do anything they put their mind to! 2. I am so excited and honored to be running for Girls on the Run as a SoleMate. Thank you to everyone who has donated or purchased soaps from Soap It Up or purchased notecards from angheartsdesign! There is still time to donate or purchase notecards if you’d like to help!!! 3. I have finally found the perfect sports bra for long runs after months of searching and trying on hundreds of different ones. Thank you Victorias Secret. I still haven’t decided what I’m going to wear on the day of the marathon, though. Well, I’ve decided which shorts I’ll be wearing, but I can’t decide on a top. 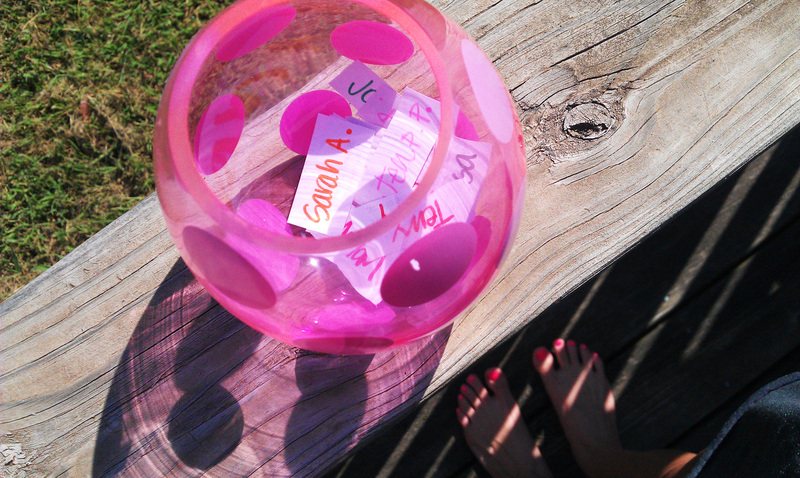 I’m still on the hunt for a sweet hot pink running tank (but I’m super picky!) to match my sweet new shoelaces…let me know if you see any! 4. I think I’ve found a short term remedy for my hurting knee. 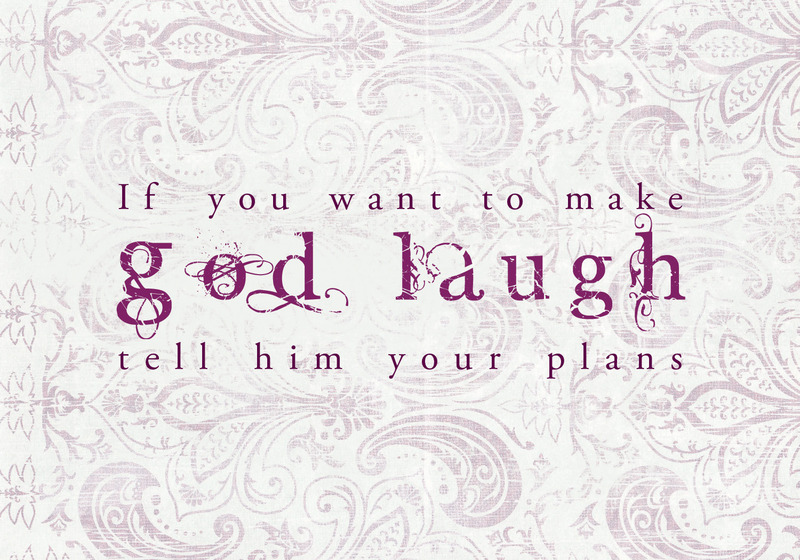 It worked for me today! 5. 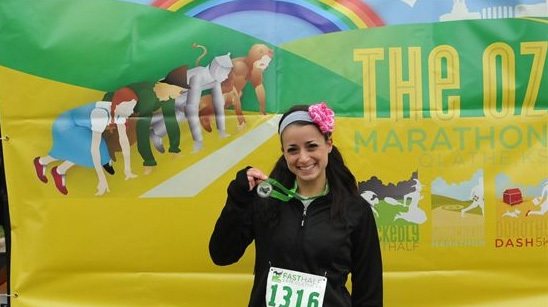 I need my Mamzie’s to create me a new special headband for the race. I can’t wait to brainstorm with her and see what she makes! 6. I can’t wait to spend some time carbo-loading…noodles are now one of my favorite foods! Olive Garden on the 26th anyone?! 7. I don’t know what I should eat the morning of the marathon. So far all of the breakfasts I’ve had before long run have not been very nice on my tummy. I’m definitely not having oatmeal (learned that today). I’m thinking Larabar and a banana? 8. 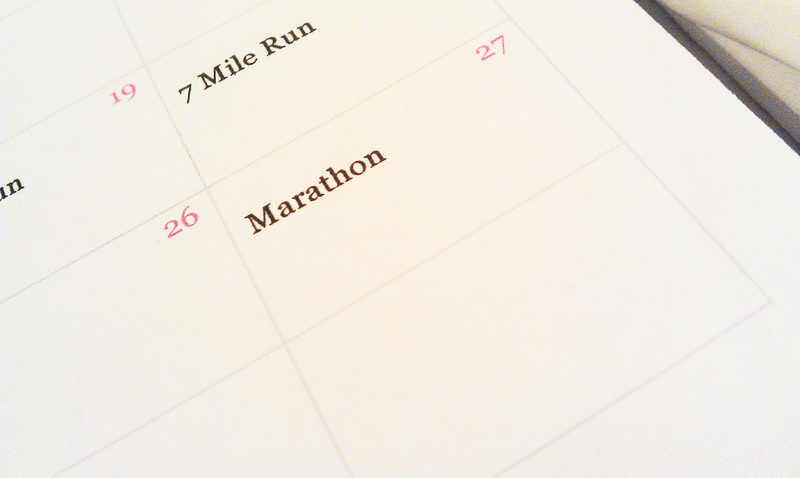 I’ve been thinking about possible goals for my marathon time…and I have many different ones in my head. 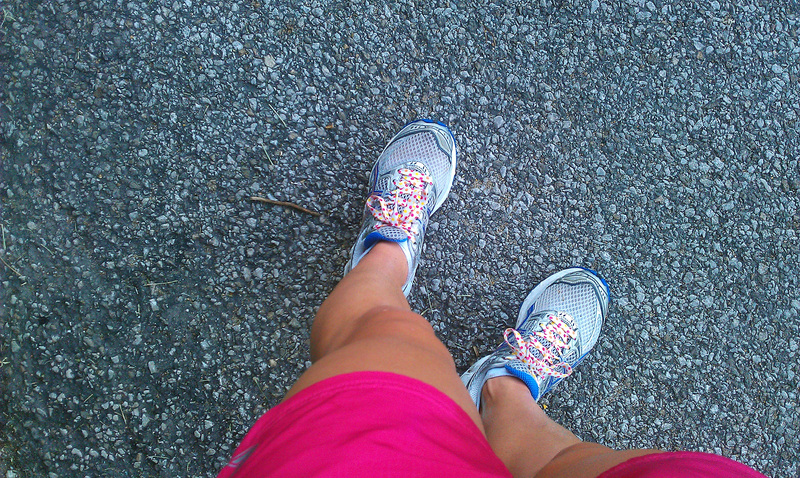 There are so many variables that can play into how I will run: heat, hills, humidity, my knee, ect. 9. My main goal is to finish the marathon…and hopefully that will be under five hours. 10. My ultimate super-awesome goal would be to finish the marathon in four hours and thirty minutes. 11. 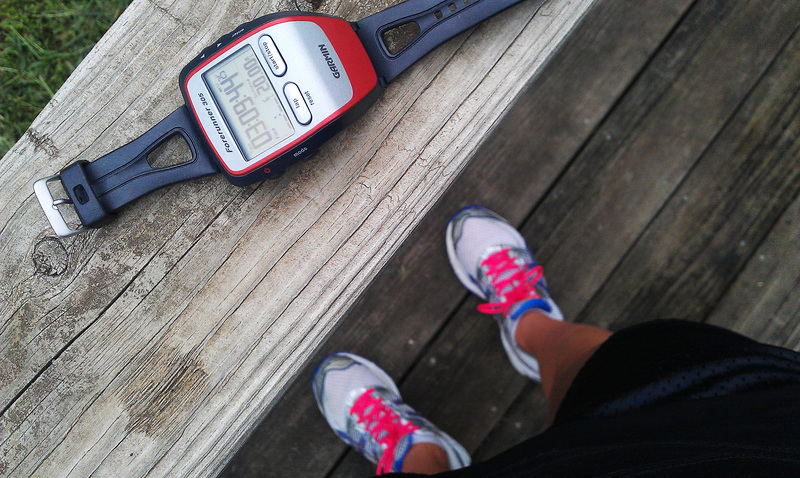 I haven’t been very consistent with my pace during long runs…so I really don’t know which goal is most reachable. Case in point, my eighteen mile long run I ran in three hours and ten minutes. 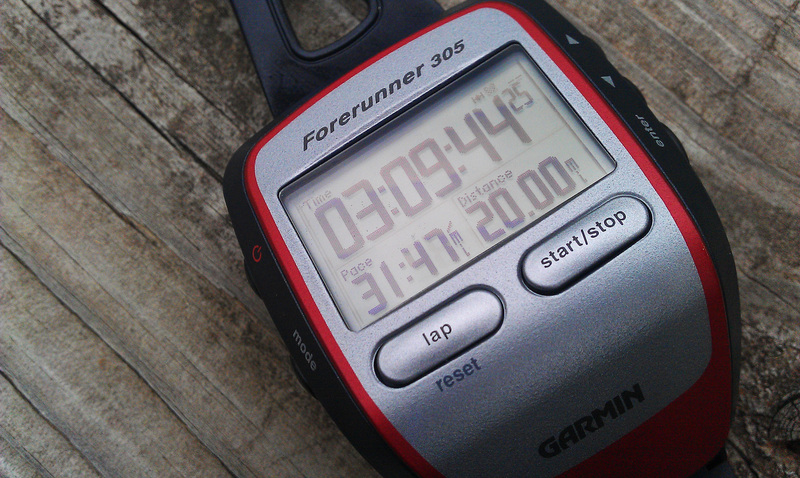 I ran today’s twenty miler in three hours and nine minutes (and forty-four seconds). Makes zero sense. 12. Today I kicked it with an average pace of 9:29 per mile. That’s pretty rockstar for me, and I’d totally be happy with that on race day! 13. Today I enjoyed the hills on my route. The hills in Kansas City scare me. 14. I’m so happy that I will have my hubby and momma there on marathon day to cheer me on! If anyone else wants to attend, PLEASE DO! 🙂 I’m also excited to have so many of my friends running the marathon relay the same day. It will be awesome having them there, also, and hopefully I can keep up with them for awhile! 15. So far I’ve kept all my toenails intact. I am (maybe overly) optimistic that I will keep all hot pink ten of them when this is all said and done! 16. 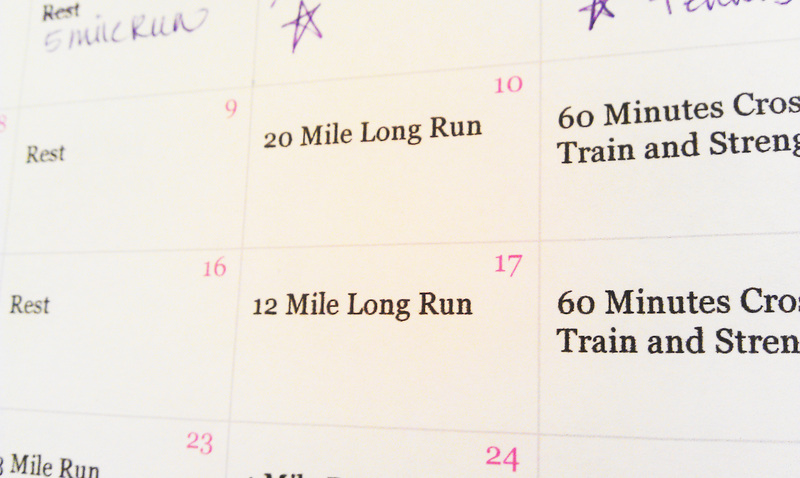 I’m excited that it is now the start of taper time, and it is crazy that twelve miles seems like cake now. 18. I’m literally afraid that I won’t be able to walk when I’m finished. I hope the hubs know he might have to carry me places for awhile. 19. I can’t believe I’m actually doing this! Do you have any advice for me? I sure could use it! 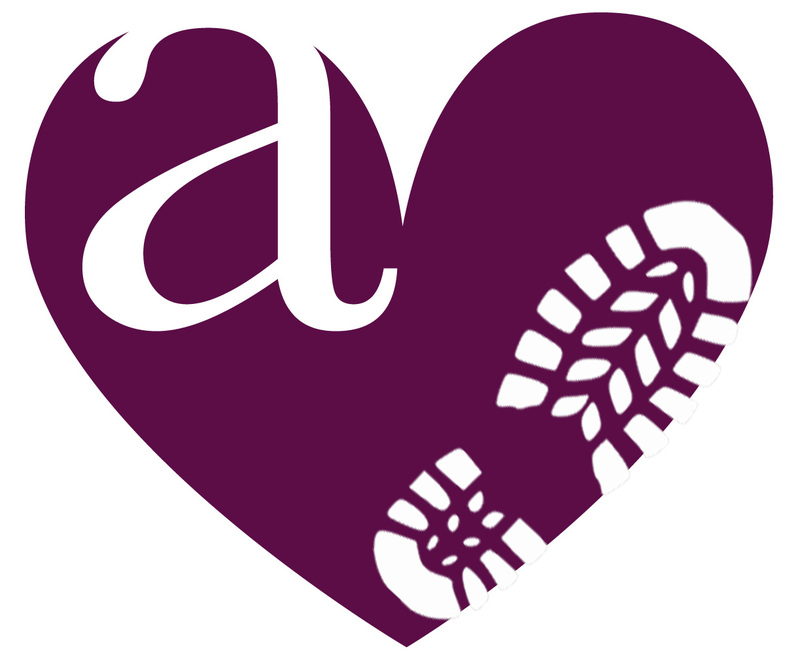 As I told you in an earlier post, angheartsdesign is teaming up with me as a SoleMate to raise money for Girls on the Run! If you need any custom, creative, modern, beautiful design work created from now until August 27th, half of the proceeds will go toward my fundraising website for GOTR. But, if you don’t necessarily need some design work (invitations, business cards, logos, ect. ), I have created a few notecard designs that would be perfect for a little gift or just for yourself to have around whenever you’d like to send someone a special, handwritten note! They come with 10 notecards (3.5 “x 5”) and 10 envelopes, and they are $10 each. For every set you purchase $7.00 will be donated toward Girls on the Run. This design was also featured in a previous post. This is definitely one of my favorite quotes because I can relate it to so many ways. This design would (obviously!) be personalized just for you! 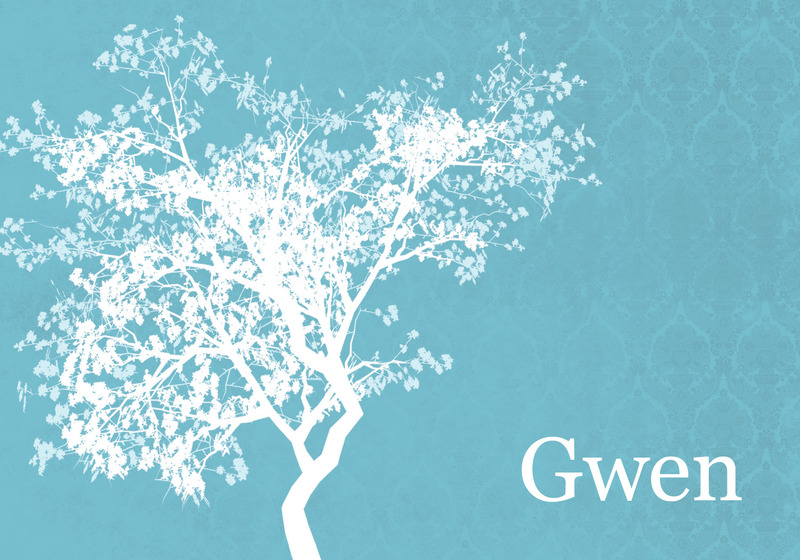 I’m kind of in love with this tree image and the vintage wallpaper feel of the background. These cards would be great to send as a “thank you”, a “thinking about you”, or just to say hi! 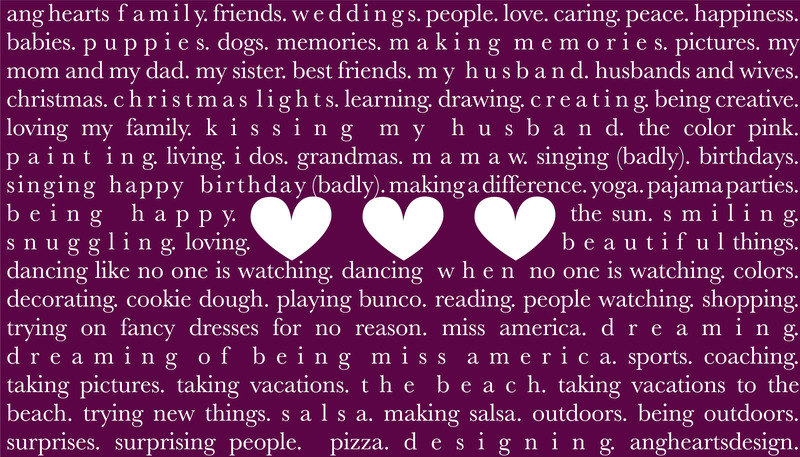 This card design is perfect for you and your significant other or a newly married couple. They can also be used as thank you cards, or again, just to say hi! 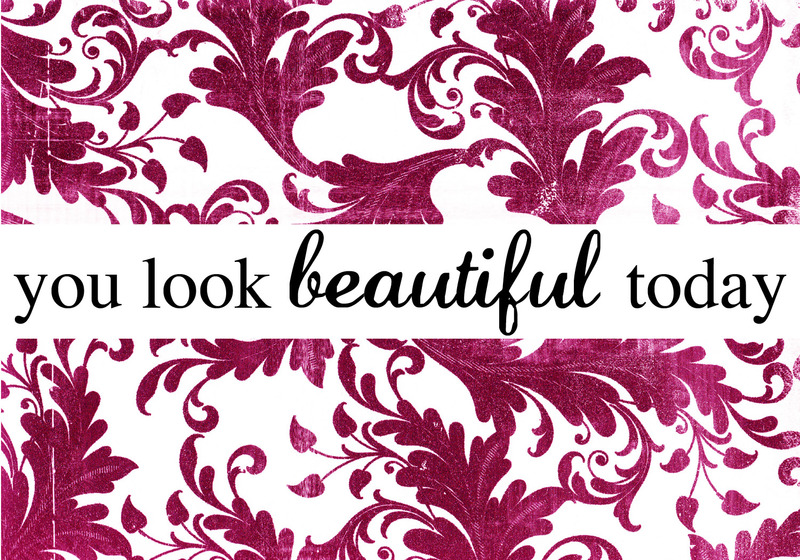 Who wouldn’t love to send someone an Operation Beautiful inspired message. This might be my favorite design because I think every girl would immediately smile when opening this from an envelope! I know I would!!! And last but not least… …a Girls on the Run inspired design! Again, these come in set of 10 cards and 10 envelopes and are 3.5″ by 5″ in size. They are $10 (check or cash by mail only), and $7 are donated to Girls on the Run! If you are interested in helping me raise money for this cause and would like to purchase these notecard sets, simply e-mail me at angheartsdesign@yahoo.com, or contact me through my “Talk To Me!” page on my blog. If you’d like to make a direct donate just go here! My goal is to donate at least $500 to Girls on the Run before August 27th! Thank you for all your help and support! I can’t believe that in less than ONE MONTH I will be running 26.2 miles for Girls on the Run!!! Oh em gee! First I just want to say thank you so much to Soap It Up, Gourmet Soaps By Di for donating $42 to Girls on the Run and to all of you who bought soap to support my cause! I’m being completely honest when I say there is nothing better than showering with a Soap It Up soap after a good, sweaty workout session! I am not only 35 days away from my first marathon! Oh em gee, I cannot believe how small that number is…yikes! For the last 35 days of fundraising, I am going to be teaming up with angheartsdesign (that’s my company, hehe) to raise even more money for this amazing organization! For every design order up until August 27th, I will donate half of the money to my Girls on the Run SoleMates website. 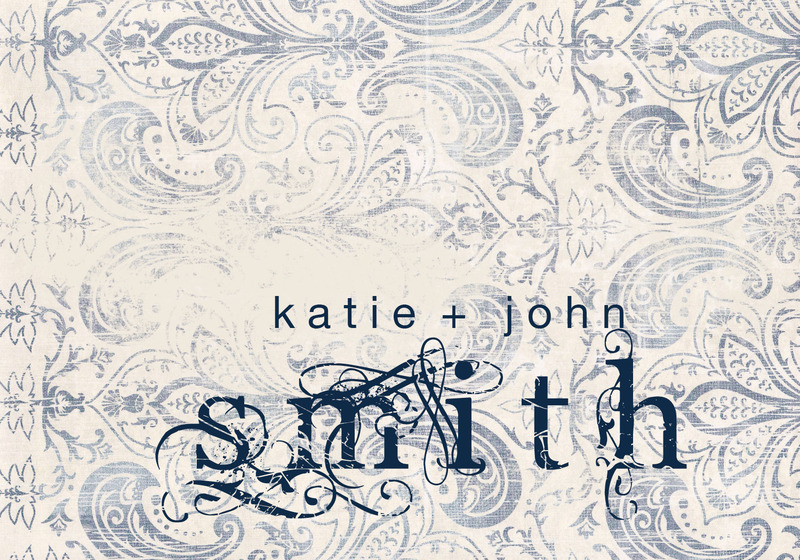 If you aren’t familiar with my work, you can check out some of my designs here and/or here (and “like” it while you are there!). I create anything from invitations for all kinds of events to business cards to customized notecard sets. If you are interested in ordering a creative custom design, you can e-mail me at angheartsdesign@yahoo.com for more information! There will be more to come soon! I promise! I feel so strongly for this organization and what they are doing for young girls everywhere. I hope that what I can raise will truly make a difference in the lives and happiness of these girls. Thank you for supporting me in this! 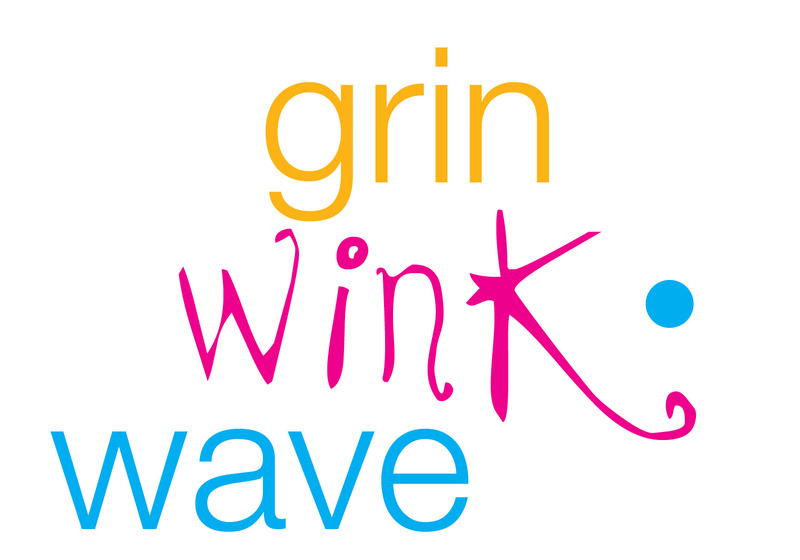 Forty-one days until my fundraising for Girls on the Run comes to an end! 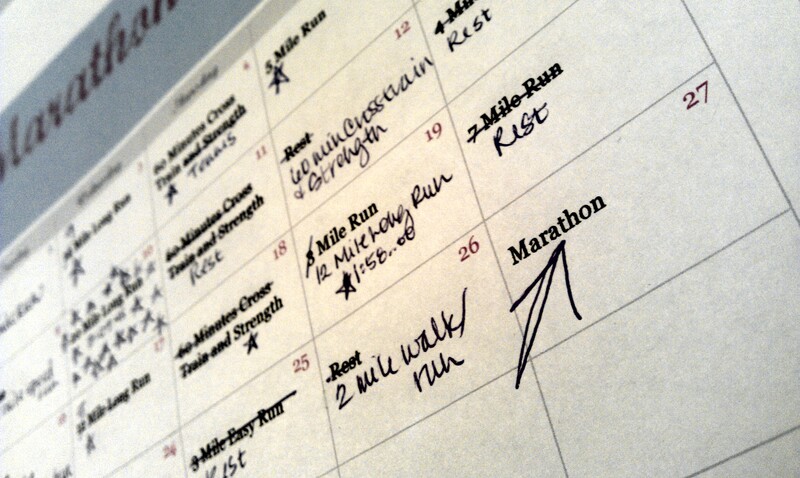 Forty-one days until I tackle twenty-six point two miles! Marathon training has been very challenging, but at the same time very rewarding. I am beginning to reach new distances that I never even dreamed possible (and what’s crazy is I have so much more to go)! I am also learning a lot about time management, injury prevention, rehabilitation, effects of heat and humidity, and what the world looks like before 6:00am. Along with all the good things that has come with marathon training, I am also learning about disappointment. I was scheduled to run fourteen miles this past Wednesday, my longest distance yet, but I was unable to go more than ten. You see, my left knee likes to be a pain by being a pain. I was feeling fine for my entire run, that is until I stopped after mile ten to have a drink of water. As I was drinking, my muscles were feeling a little bit tight so I decided to a do a few stretches before I went out to tackle the last four miles. As soon as I put all my weight onto my left leg, it was all over. I walked back inside feeling disappointed. The run had been so great so far, with no knee pain, and I was feeling like I could accomplish all fourteen miles easily. I so wanted to finish the run, so I tried to walk it off around my house for a few minutes, and then I headed back outside to try again. I immediately had to turn around and come back home. I told myself not to be disappointed. As important as this marathon is to me, it’s not worth hurting myself over. And besides, with the proper care, I should probably be able to try again in a few days. 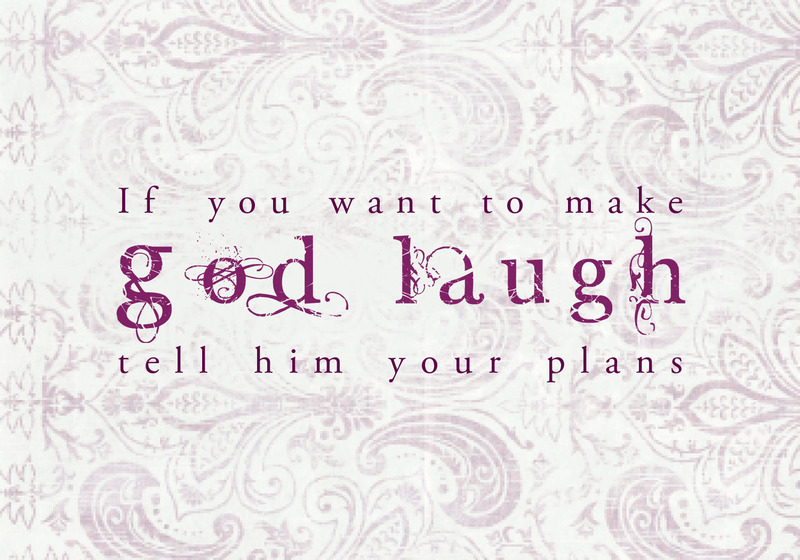 And that is what I did! Saturday morning I planned out a fourteen mile route, laced up my shoes again, and headed out the door around 5:30am. As I ran, I tried to be more aware of the movement of my legs, knees, and heels. I focused on my breathing and how my body was feeling. 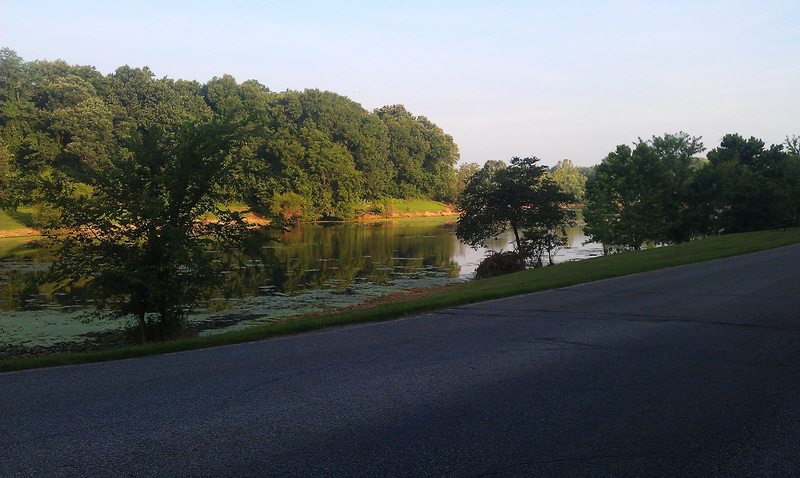 I also took in the scenery…I didn’t know that my new town had such beautiful surroundings. 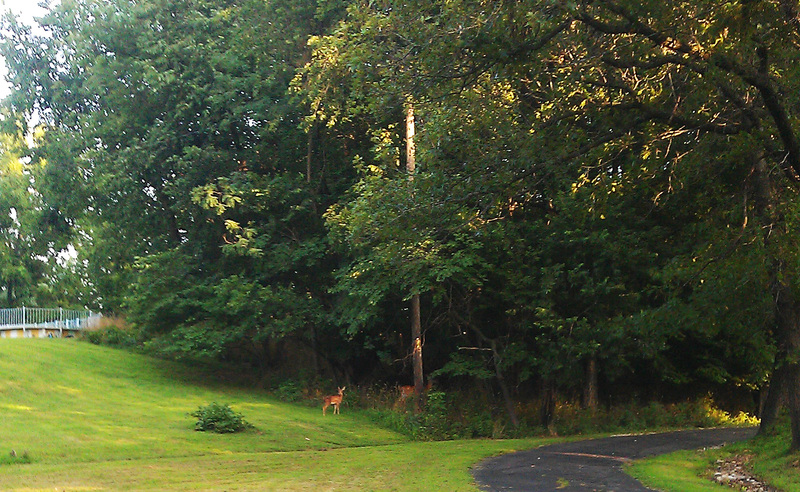 Hello Bambi and Bambi’s mom! And I did it. I ran all fourteen miles! I felt a lot of things after finishing…exhausted (although as soon as I stopped I felt like I could’ve ran more! ), proud of what I had accomplished, and grateful…grateful that I had stopped on Wednesday and gave myself the opportunity to heal. And this week…sixteen miles, here I come! Marathon Training, W.O.W., Soaps By Di, and GOTR! Good morning lovelies! I have missed you! I missed my Book Club post this week…I am so sorry! Keep your book in a handy location. For example, I have switched over to using a very big purse so that I can fit my book in it (and wallet, and four different lipglosses, and mascara, and bottle of water, and comb, and camera, and phone, and headphones…) and take it everywhere! Therefore, it will be too hard for me to forget book club again! So girls who are following along with the reading, I will make this week’s book club post tomorrow (only two days late), and it will just be over chapter eleven, The Bonds of Pop Culture. In other news…I received and e-mail yesterday informing me that my first marathon is eight weeks away! Um…what?!?! Only eight weeks!?!? I’ll be honest…that number did scare me a little bit, but I got in a great thirteen mile run this morning, thanks to some lovely girls! So…if you know me, you know that I typically run by myself. Yes, I beg and beg and beg my hubby to join me (and he has…twice now! 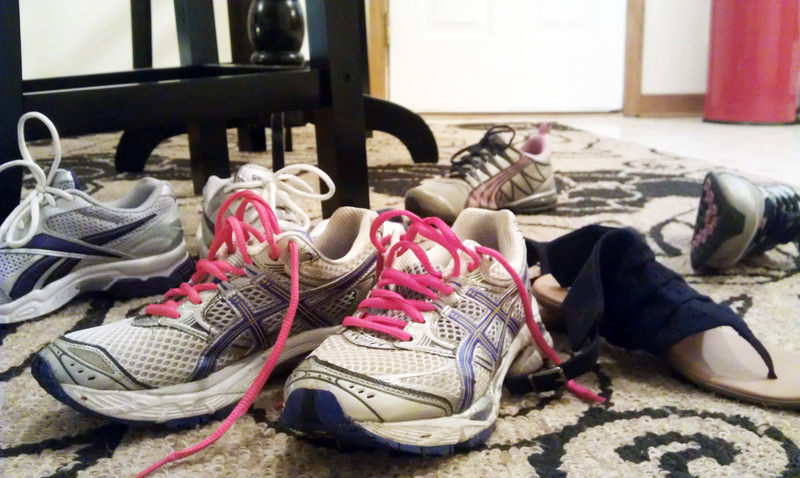 ), but I usually end up lacing up the shoes for a long, lonely date with my headphones. But a couple months ago I was told about a womens running group in my town for all types of runners and walkers. I joined the group on Facebook, and saw all their postings for group runs several times a week, but I was always too scared to go meet up with them. Most of you just know me through my blog, but my family and friends that do know me know that I can be a little awkward in real-life…shy with a tiny, high-pitched (mistaken for a twelve year old) voice. Awkward. On top of my already awkward shyness and not knowing anybody in this town, I was always afraid to join in on a group run because I worried about not being fast enough or going too fast, or I worried about whether or not I am supposed to make conversation or if I should be be focused and quiet, or if I am breathing too hard and they think I’m in terrible shape or if I’m not breathing hard enough and they think I’m about to die. Nevertheless…I’ve always been afraid! Last week I saw that one of the W.O.W. girls was organizing an eight mile run on the exact same day that I was scheduled to do an eight mile run for my marathon training. I thought that’d be a good time to make an appearance, but I was still afraid for all of the above reasons. Then I saw someone else ask about the pace of the run…and lo and behold, the pace matched my pace exactly! I thought it must be meant to be, so I decided that I’d actually join the girls for my first group run! Let me tell you…I LOVED it! Running with a group made the time and miles just fly by, and it motivated me to pick up my pace a little bit and keep it up! 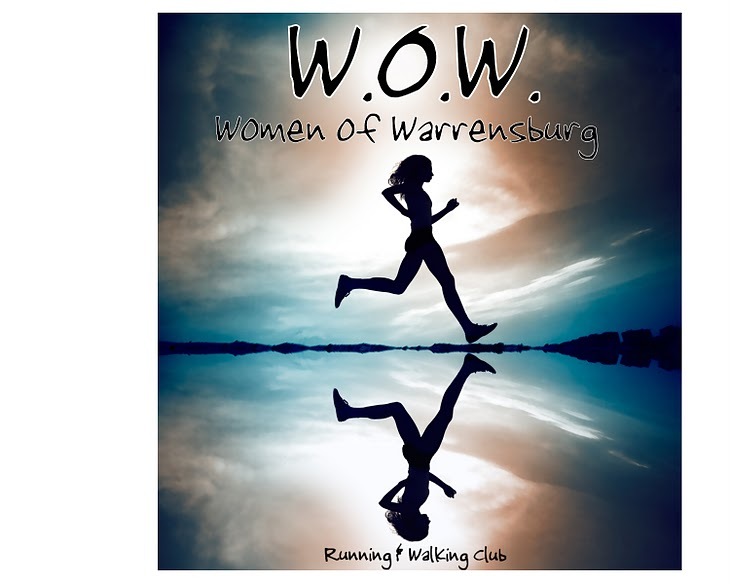 For this morning’s long run, I ran two and a half miles to W.O.W.’s meeting place, ran five with the group, then ran another three with one of the beautiful ladies, then finished the last two and a half miles running back home. 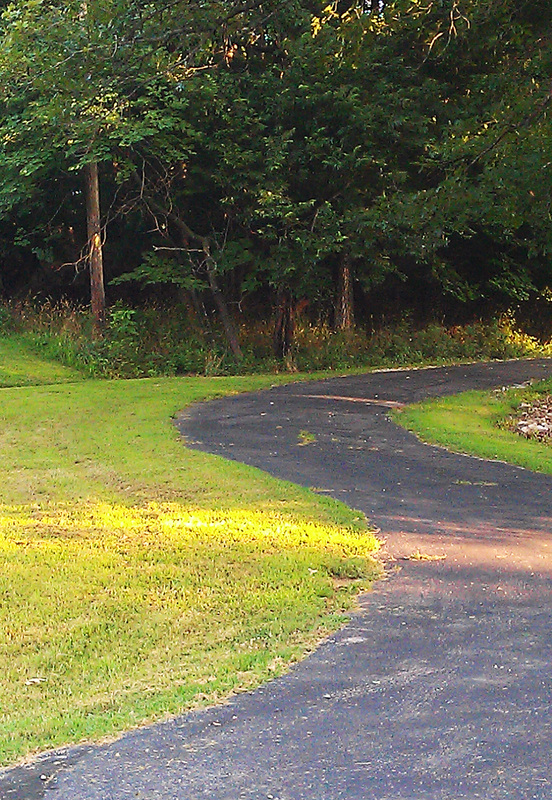 It was a great run, but Missouri’s humidity is ridiculous! I have never been more sweaty in my life! It looked like I jumped in a pool with my clothes on! So, thank you pretty W.O.W. girlies for a great run! P.S. Soap It Up, Gourmet Soaps By Di has donated $42 to Girls on the Run through my fundraising website! You have nine more days to take advantage of her special (for each soap sold she donates $1 to GOTR)!!! It ends on July 15th! 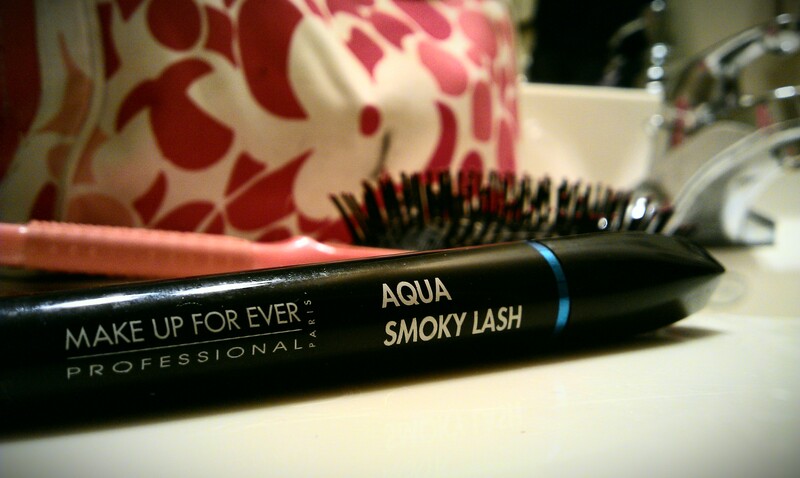 I just used one of my favorite scents, cotton candy, for my post-run shower! YUMMY! 5K Affirmations angheartsdesign Anniversary Balance Beauty Believing in Yourself Birthday Blogging Body Image Book Club Celebrating Christmas Coaching Create Dad Dinner Club Eating Disorder Recovery Family Fat Talk Favorites Fears Fitness Food Football Friends Friendship Fundraising Girls on the Run Giveaway Goals God Half Marathon Healthy Eating Holidays Hubby Jeffrey Zaslow Love Make A Wish Foundation Marathon Marathon Training Media Mexico Mini Goals Momma Motivation My Pinky Toes Numbers Nursing Nursing School Personal Record Quotes Race Recap Races Recipes Running Running Shoes Scales School Shopping Sister Sizes Soap It Up SoleMate Strength Training Sunshine Television The Girls From Ames The Husband Tia Training Trying New Things Uncategorized Volleyball W.O.W.